Ever since the latter part of the 80’s decade, elder citizens have been able to tap in to the equity of their home via a reverse mortgage. The most popular version of the loan is the FHA insured Home Equity Conversion Mortgage, also called the HECM. For people considering this type of loan the Federal Housing Administration has made some reverse mortgage changes to protect not only the borrowers who are getting the loans but also to safeguard the FHA from major losses. A reverse mortgage is designed for people who are at least 62 years of age and own their home. If the home is free of any loans or close to being paid off the reverse mortgage allows the homeowner to use the equity of the home to cover any and all expenses that they see fit. Some people have used the mortgage to consolidate their debt, others have paid off medical expenses and even other people have taken part of the equity to just help with monthly obligations to improve their quality of life. Reverse mortgages are set up in one of three ways: (1) people can get a lump sum (2) people can get a portion of the equity as a one-time payout and the balance can be spread out over payments to the borrower or (3) the borrower can choose to get equal, monthly payments over the course of a pre-determined number of years. The stipulations of the old reverse mortgage were rather simple. Once the loan was made the borrower did not have to repay the loan as long as they lived in the home. After the borrower moved out of the home or passed away then the loan would have to be paid back. There were no credit requirements and no income assessments performed for the reverse mortgage. As long as the homeowner met the age requirement and had sufficient equity, they were basically approved for the loan. 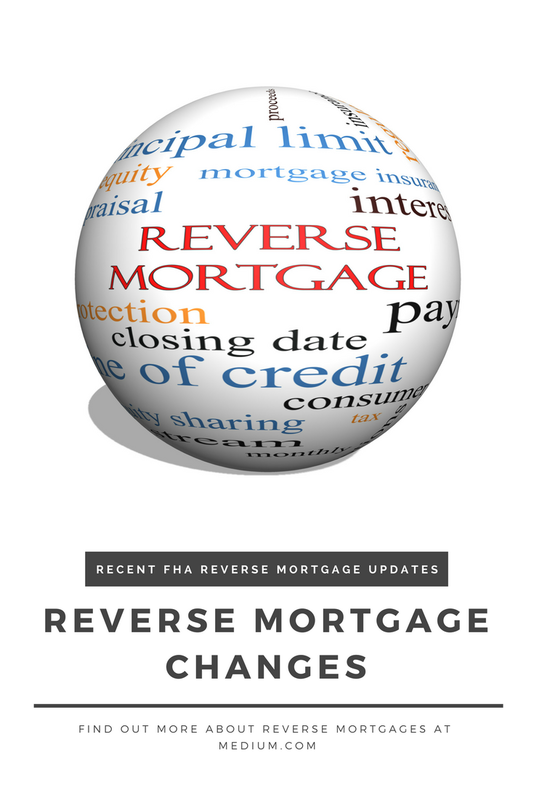 When the reverse mortgage was first introduced by FHA, the whole process was rather simple. An appraisal would be done to determine the value of the home. Based on the value and the borrower’s age, the FHA guidelines would spell out how much money the borrower could get. The requirements of the borrower were rather simple. First, they had to prove they were 62 years of age or older. Secondly, the borrower would have to prove they owned the home. Finally, the borrower had to agree to pay the annual property taxes and homeowner’s insurance policy as long as the reverse mortgage was in effect. Although the responsibilities of the borrower have remained basically the same, the process for getting approved for a reverse loan has changed quite a bit. As of October 2, 2017 any new reverse mortgage approved via the HECM program will be charged a 2% Mortgage Insurance Premium up-front. The charge will be assessed to the Maximum Claim Amount (MCA). For example, if a person is approved for a maximum payout of $150,000 over the next 15 years, but chooses to only get $5,000 at the time of closing and take the rest in payments, the new up front premium will be assessed against the maximum $150,000 amount. In addition, there is an annual mortgage insurance premium. The previous amount was 1.25% of the outstanding loan balance each year, spread out over 12 months. That percentage has decreased to only 0.5% of the outstanding annual balance. Another major change that goes in to effect in October 2017 is the lowered total loan amount. In mortgage terms the amount is called Principal Limit Factors. This prevents a homeowner from using up all of their home equity in the case they occupy the home longer than the loan expectancy. The biggest change to the HECM is the fact that homeowners are no longer allowed to get all of the available equity as one big payout. In fact, the amount that the borrower can get in the first 12 months of the loan has been reduced. This was done in an effort to prevent people from spending all of the money too quickly and putting themselves in a terrible financial predicament. Along with the limits of the loan payout there is now a requirement for lenders to complete an assessment of the borrower’s overall financial ability. Rather than looking at the credit report and deciding if the borrower is likely to repay the loan a lender is trying to ascertain if the homeowner will have the necessary means to pay the taxes, insurance and any common home repairs during the life of the loan. When doing the assessment lenders are analyzing each and every form of income that a borrower may have. Investments, 401k income, retirement benefits, Social Security income and any wages earned from a part time job are all considered. The reason for these changes is quite clear. In 2012 approximately 57,000+ reverse mortgage loans ended up in default status. This number is only up around 2% from the year 2002, but it is still alarming. Many of the people that default on a reverse mortgage found themselves in a position that they could not pay the taxes and insurance each year. To combat this problem FHA is requiring that some borrowers have an account called a set-aside. This account works similar to an escrow account. Money is put in the account and each year when the insurance and taxes are due the account pays the bill. The amount of money needed in the account is calculated by using the age of the youngest borrower. Some borrowers are even asking their lenders to start a set-aside account. This provides peace of mind to many senior citizens that the home will be taken care of. You should look at the pros and cons before choosing a HECM. In order to help you with the decision process, it is required that all HECM borrowers talk with an approved counselor. The counselor will go over the financial responsibilities along with explain who is eligible for the loan. The counselor can also provide some alternatives to taking out a mortgage and explain how the mortgage is repaid if you choose to get the loan. After going through a counseling session you should have the correct information necessary to make the best choice for your situation. A reverse mortgage is like any other financial tool. In order to get the maximum result from an HECM each person will need to look at their entire financial condition and see how the loan can be of the most benefit. By taking into account all of their current and potential future needs, homeowners can use their home’s equity wisely and prepare for their future without the need for worry. If buying a home for your parents is an option, be sure to check out this video below to learn about the family opportunity mortgage! 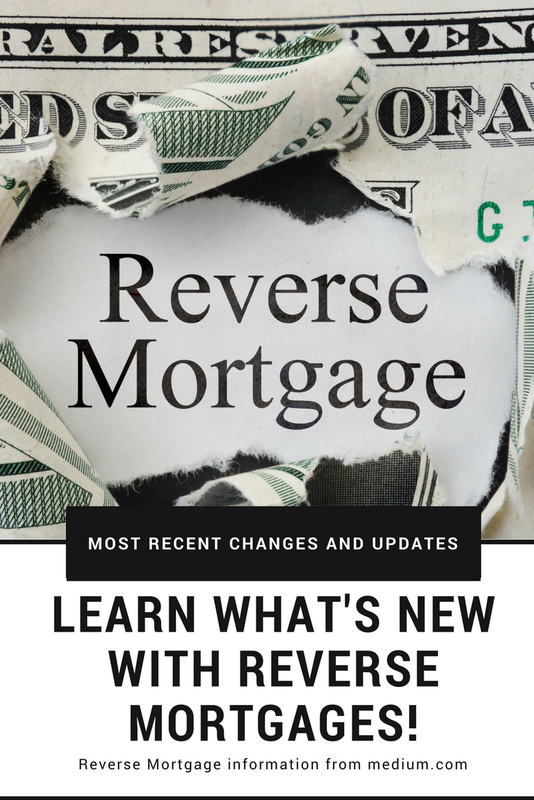 This article “Reverse Mortgage Changes” was written by Luke Skar whose mortgage branch serves Wisconsin, Illinois, Minnesota and Florida. Since 1993 Inlanta Mortgage has provided award winning customer service to clients who need to purchase a home or refinance an existing mortgage.